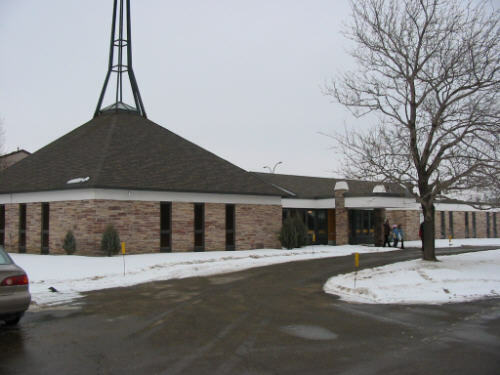 On Sunday, Feb. 2, 2003, Marg and Bill Lynn represented Summerlea at Lakeside Heights Baptist Church, as part of the Week of Prayer for Christian Unity. We received a very warm welcome and found the service to be quite similar to ours at Summerlea. 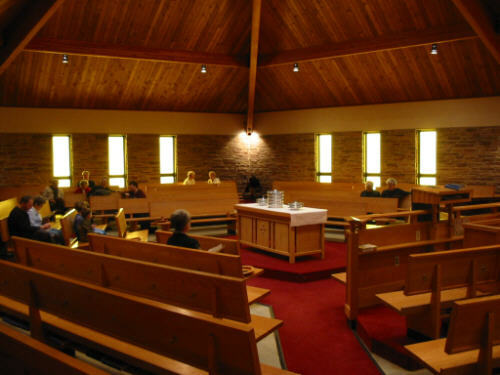 The sanctuary, built about twenty years after Summerlea's, is in an encircling format that engenders a sense of togetherness. 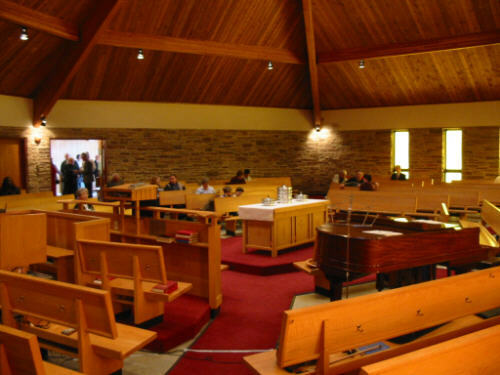 The Lakeside Heights Baptist Church website is at www.lakesideheights.org. 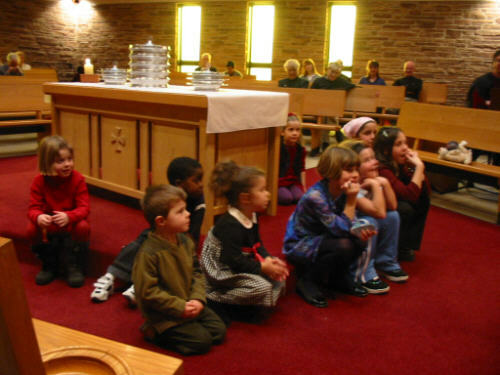 Following are a few photos taken before the service and during the childrens' story time. 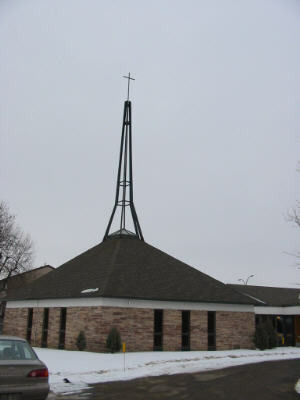 The church from the parking lot. 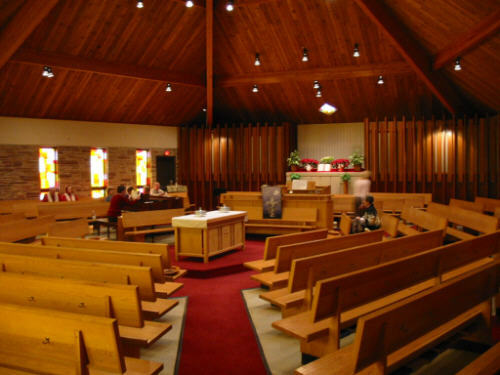 The sanctuary is modern and embracing in format. 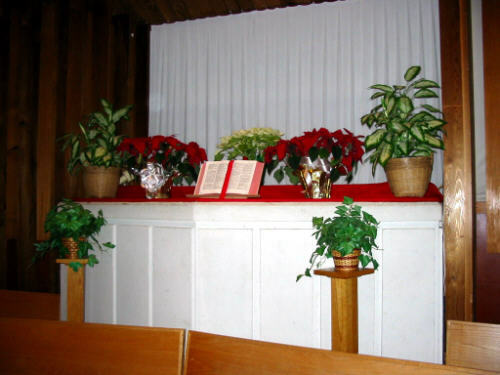 The Communion Table is in the centre of the sanctuary. Here with the choir director's daughter Camryn and friend before the service. 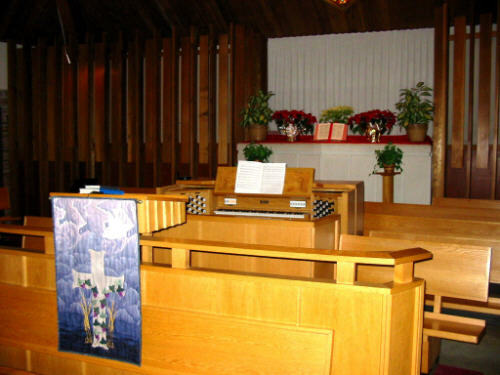 The "business end" of the sanctuary - lectern, organ, choir pews and baptismal tank. 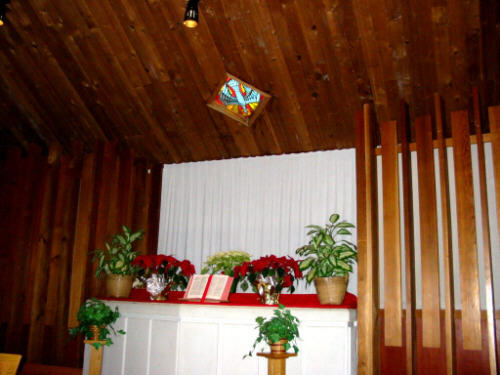 Stained glass window over the baptismal tank. 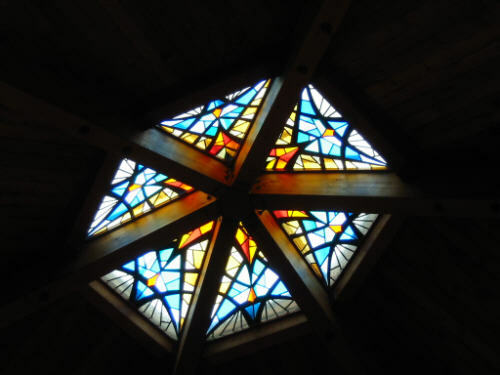 Stained glass window in the centre of the sanctuary roof. 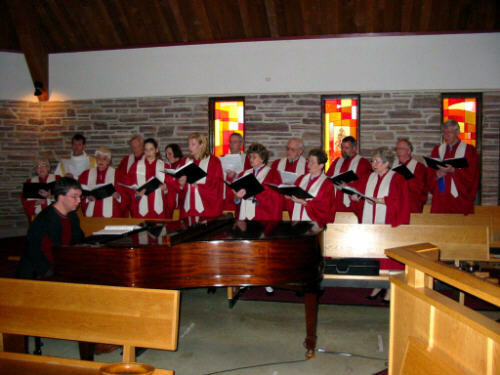 The choir and piano are to the left of the lectern. 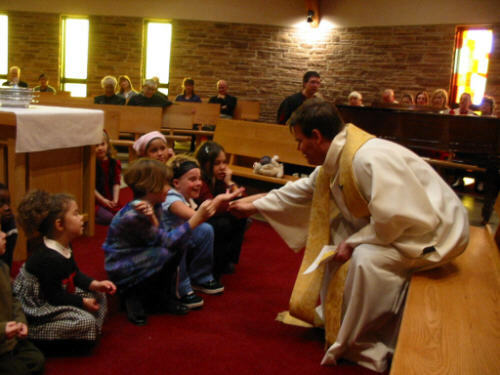 Robes were worn for the last part of the practice because photos were being taken. 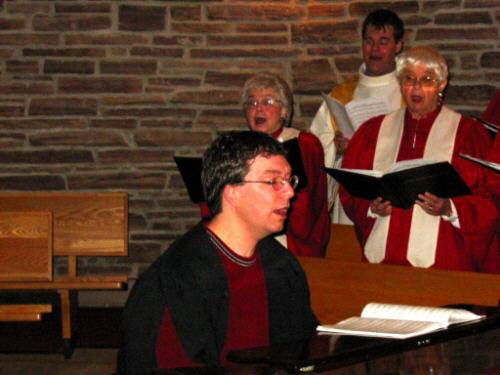 Organist and choir director Stephen Mullin at the piano. 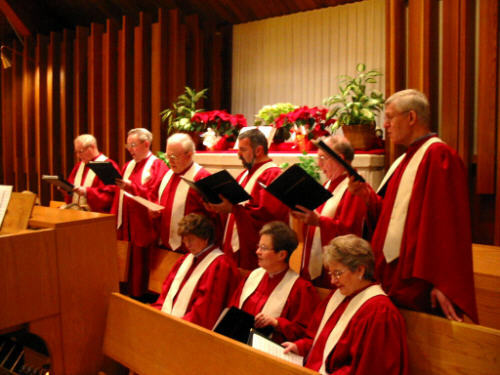 For the choral benediction the choir moved to the organ pews. 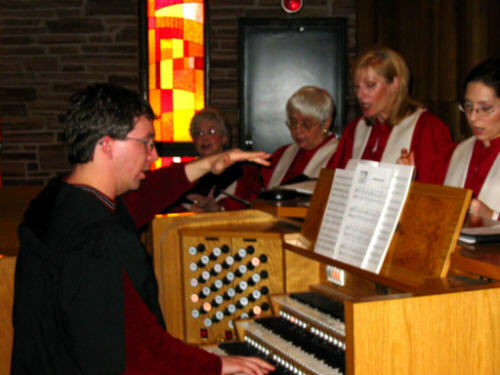 Organist and choir director Stephen Mullin at the organ. 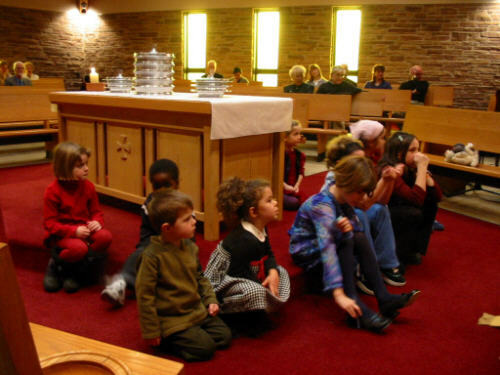 During communion Eva Ratuszynski (the tall blonde girl) played the violin with organ accompaniment - beautiful. 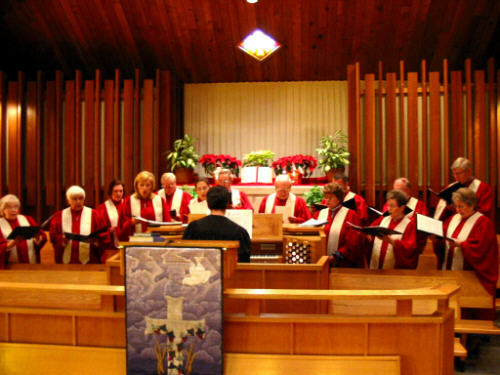 The minister, Rev. 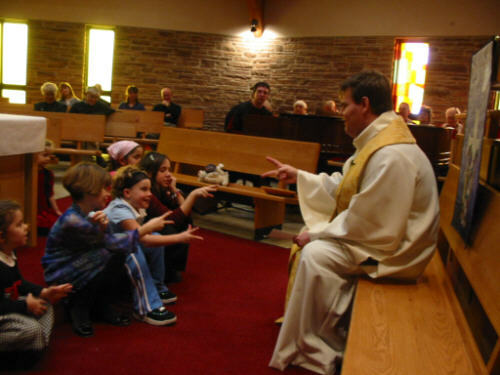 Scott Hunter and finger scissors.